Some days are like this, and some aren't. 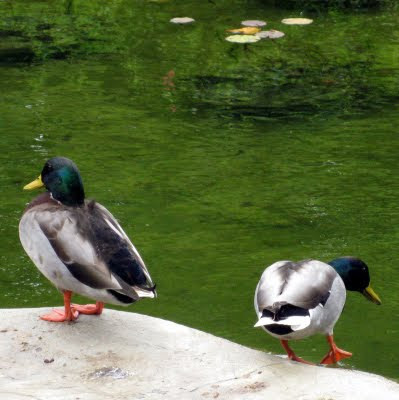 It does, indeed, look like the duck on right is testing the water--and finding it too chilly for his liking. The other one is resigned to the fact that it is just too darn cold, and he's trying to decide whether it's worth staying out or going inside for a cuppa.